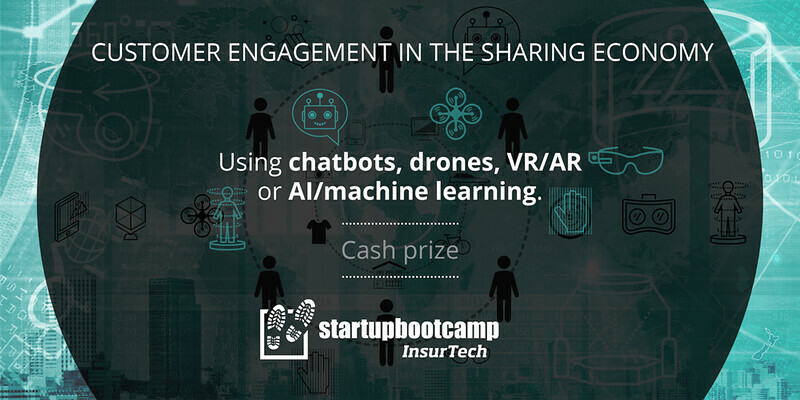 At the weekend I attended a 48 hour hackathon by InsurTech, themed around customer engagement in the shared economy. It’s very easy in the hackathon environment to just start talking to other like-minded people and begin building a group who could become part of your team. Unfortunately it became a bit too easy, especially when people who start approaching your ever growing group have lots of experience in machine learning, or a PhD in discrete mathematics and theoretical computer science. Needless to say, we quickly formed a team of about 10, at a hackathon where the limit was supposed to be 6, and had to split into two teams. So you’re at a hackathon, you’ve formed a team of people who’ve never worked together before, and you’ve been set a vague and open problem to tackle. What’s next? It took quite a while to figure out what we should actually be working towards and what our main goals were, but eventually we decided to tackle the problem of insurance claims processing, or more specifically find a way of making the process more efficient, cost effective for the company, and make the whole process easier and faster for the customer to increase customer satisfaction. We decided that the best way of doing this was to use machine learning on the available dataset to speed up claims processing, while interfacing with customers in a friendly and efficient manner using a chatbot. The project would eventually have the chatbot linked to the classifier for instant results, but in the 48 hours we had available we only managed to get the two main objectives working separately. It turns out that claims processing has two separate paths depending on whether or not the car was to be written off or not, and determining whether the car was written off or not was a slow process in itself. We decided to speed up and automate the process by analysing data from car crash damage reports, against information about the cars in question, using data mining to build a classifier that can predict for new entries whether or not the car is likely to be written off or not. The system we built used the data provided as a training set, and was able to accept new data and immediately classify it. We also wanted to tackle the challenge of making the entire process easier for customers so we built a chatbot with some Natural Language Processing with the intent of having some of the information input by the customer used by our classifier to give an initial indicator of whether or not the car would be written off. We did not get that far, but the two separate pieces worked individually and wouldn’t require much alteration to be integrated. The hackathon was a thoroughly enjoyable experience overall, and I feel that I have truly gained a lot from this, including new friends, a great deal of team dynamics experience, further python and machine learning experience, some public speaking practice, and free pizza (among other fantastic food)! It was also simply a great way to spend a weekend. I look forward to participating in more hackathons in the near future.